Peter Schreyögg roasts with his son Stefan in the Meran Espresso varieties, whose quality and taste leaves nothing to be desired. The flagship of the roasting mill is the Schreyögg Exquisit, which you should taste as an ESE coffee pad once. You could stick with it. Single-serving systems are in increasingly high demand both for household consumption and in HORECA. They come as hard pods, soft pods and capsules. Schreyögg specialises in pods, which are pressed in 44 mm-diameter standardized form and packaged individually in protective atmosphere.Every pod ensures fresh coffee aroma, preserving the high quality of coffee. The varieties range from strong to mild flavour and guarantee pure coffee enjoyment for all tastes. Coffee production is a very special craft and requires much practice. It takes years of experience to acquire the knowledge required and the ability to discover and understand the diversity found in coffee. As a natural product coffee is influenced by, and depends on, many factors, so that it is just the more important to be able to assess the product in its raw condition, to adjust the roasting process to it, to be able to assess and design the flavour, in order to reach perfection in the cup. A wealth of experience gathered over the years and decades is the basis and strength of the company. 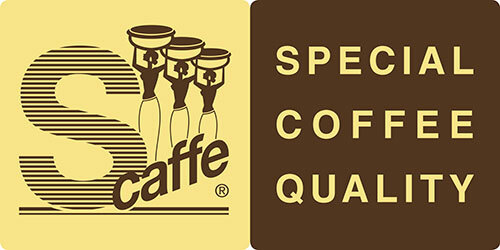 (Schreyögg Website) The Caffè Exquisit is a mild, yet delicate and strong espresso with a balanced flavour and subdued acidity. The particularly high portion of Arabica beans makes it a top-quality coffee. Also very well suited for milk beverages. While Caffè Crema is a special, balanced coffee blend with a light roast. Soft, mild and aromatic in flavour, but most of all wholesome due to the long roasting process, it is particularly suitable for the long cup. Make your pick and order some Schreyögg ese pods with your next coffee order.